Comprehensive collection of ESET News, including the highest performing Press Releases, Research and Thought Leadership content gathered on single page. ESET has made its smartphone-based 2FA solution, ESET Secure Authentication (ESA), available via its 4000+ strong MSP Partner's Program. ESET global security evangelist Tony Anscombe posts a response to recent NSS Labs Advanced Endpoint Protection test results. Worried about the Meltdown and Spectre CPU vulnerabilities? The good news is that ESET protects against the malware that can take advantage of these vulnerabilities to infect your computer. ESET has released its much-anticipated Cybersecurity Trends 2018: The Cost of our Connected World report. Remaining questions? 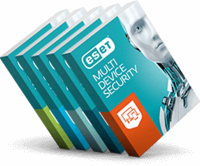 Download essential ESET assets.